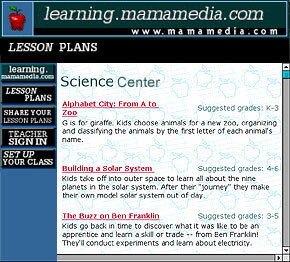 The Science Center on Learning.MaMaMedia.com includes Lesson Plans developed by the MaMaMedia educational alliance with teachers. SEED website is a powerful example for a global corporation's contribution of resources, using Internet technology, to enrich science education in developing countries. 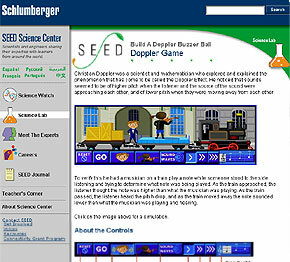 We help Schlumberger Corporation's scientists and engineers on sharing their knowledge and expertise online with teachers and students from around the world, interactively, in seven languages.